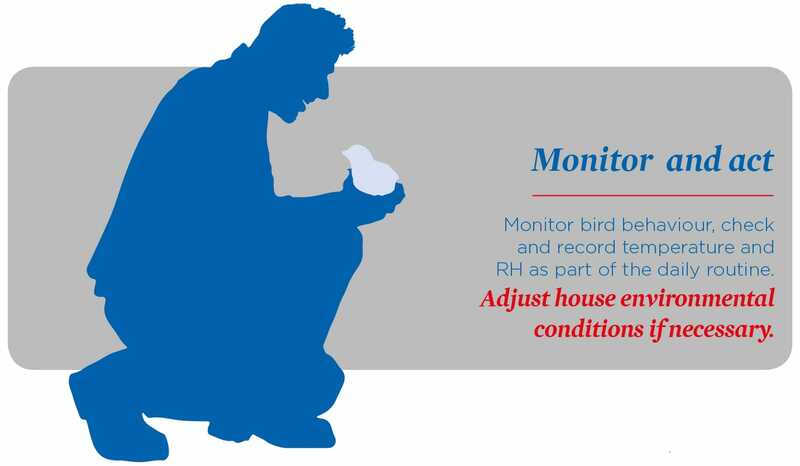 Daily monitoring of the temperature and relative humidity (RH) levels within the house and observing bird behaviour allows the stockman to make regular adjustments to the house environment to ensure the birds are comfortable. 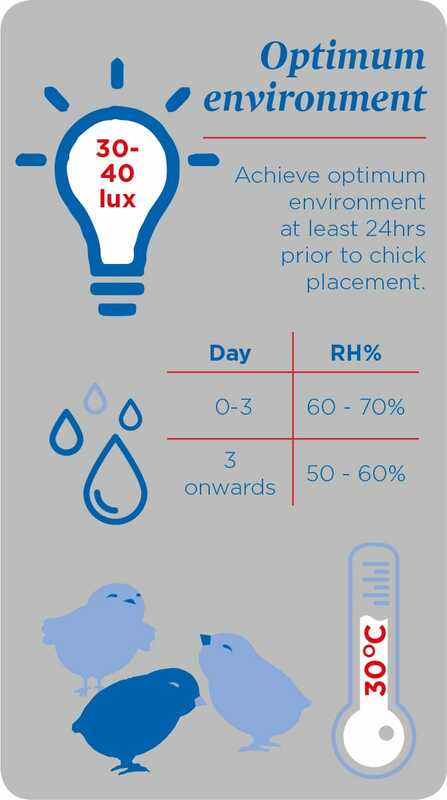 Maintaining the correct environmental conditions in the broiler house is essential for optimum bird performance and welfare throughout a flock's life. 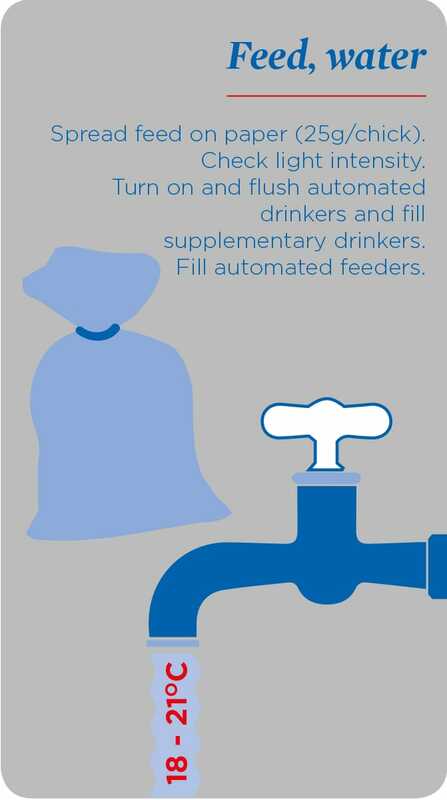 This information is taken from Broiler How To 3- How to monitor temperature and relative humidity (RH). How to individually weigh broilers from 21-28 days onwards.